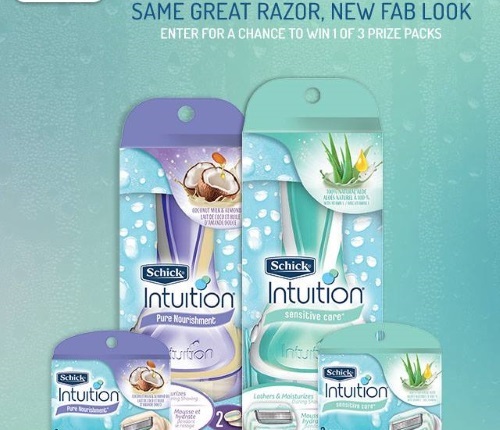 Schick Intuition has a new contest! Enter to win 1 of 3 Prize Packs including a new Schick Intuition razor handle, a 3ct razor refill and $50 perpaid gift card. To enter just comment at the linked post below on a simple change for the better in your life recently. Contest closes March 2, 2016.